Call 281-717-8033 to sign up for ALL modules to receive your discount. Please call the store to cancel ( KTX 281-717-8033). There are no refunds on event fees within 30 days of the event unless we can fill your spot with another person. 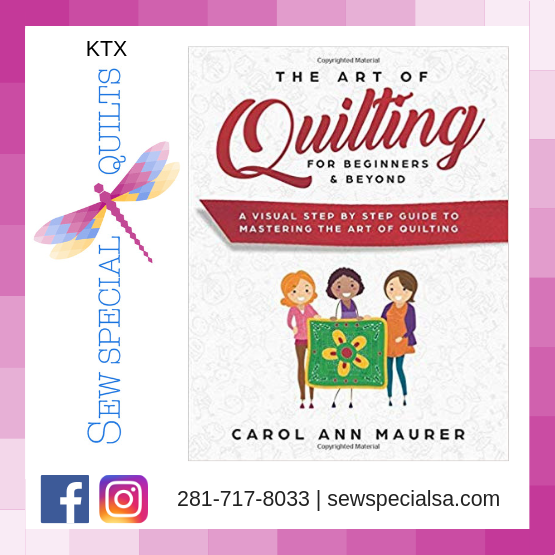 Beginner / Quilters who need to build their skills. $45.00 for each individual module. $120.00 for all 6 modules. Call 281-717-8033 to sign up for ALL modules to receive your discount.